Had some time off and enjoyed a nice vacation in the Roaring Fork Valley. Fished in front of our place on the Roaring Fork and also fished the Frying Pan. It was a great trip and fishing was excellent! We caught some nice fish right down the hill from the house we rented. 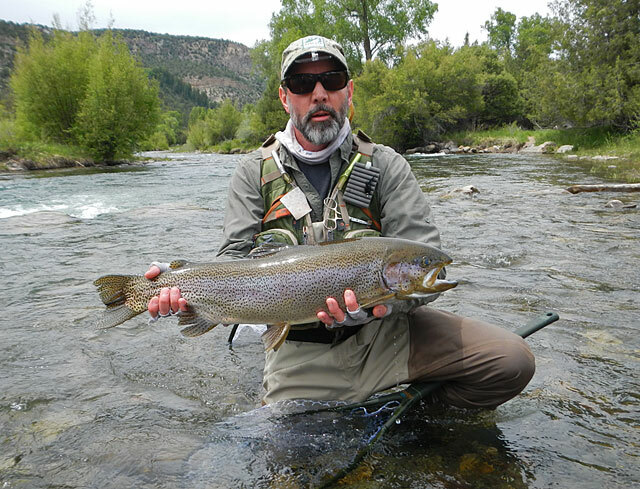 My buddy Jim came out from NY to fish for a few days and caught some nice rainbows on the Gunnison. Fun week! 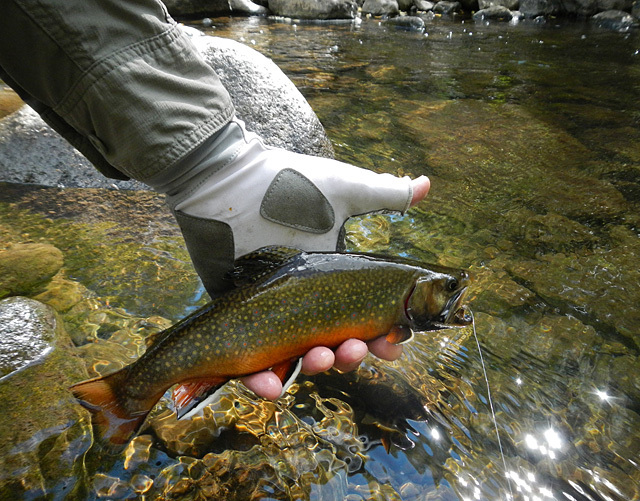 Wild brook trout in the high country. 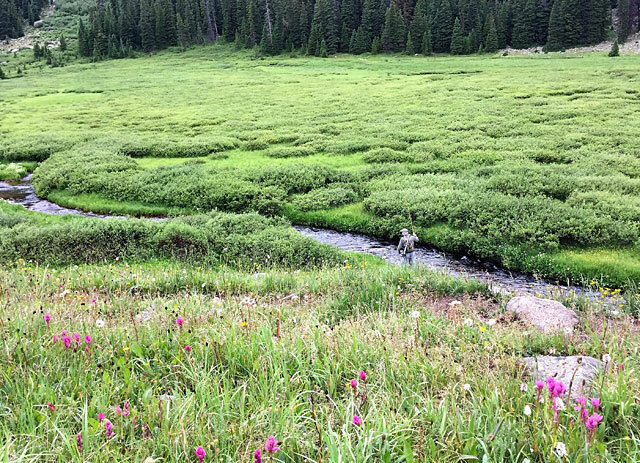 This is a great time to fish the high country with RIGS! 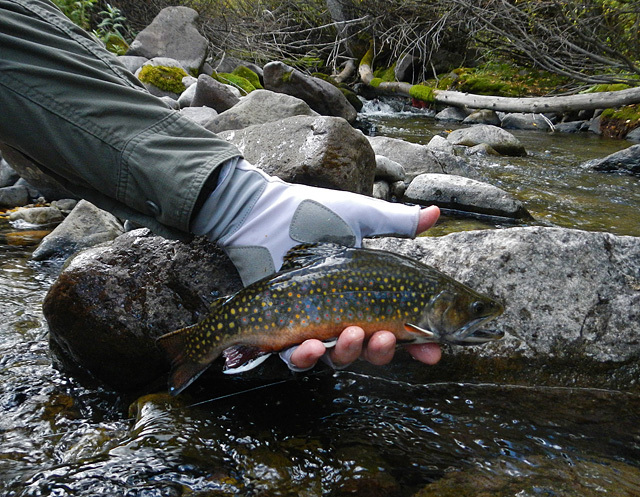 More beautiful wild trout in the mountains! 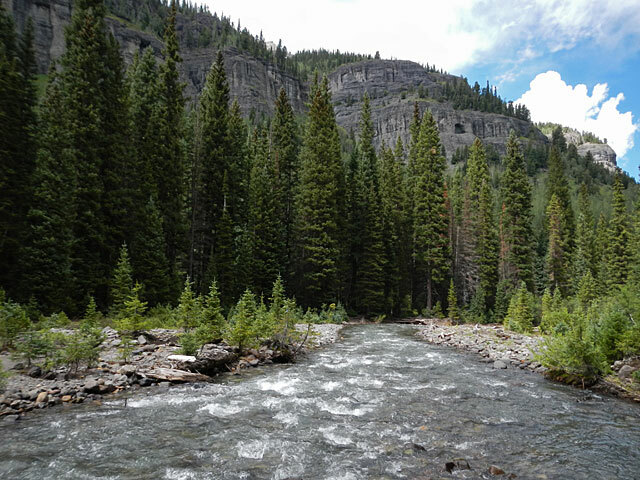 Fish the high country on Forest Service lands with RIGS and chase wild and native trout in some of the most scenic areas Colorado has to offer. 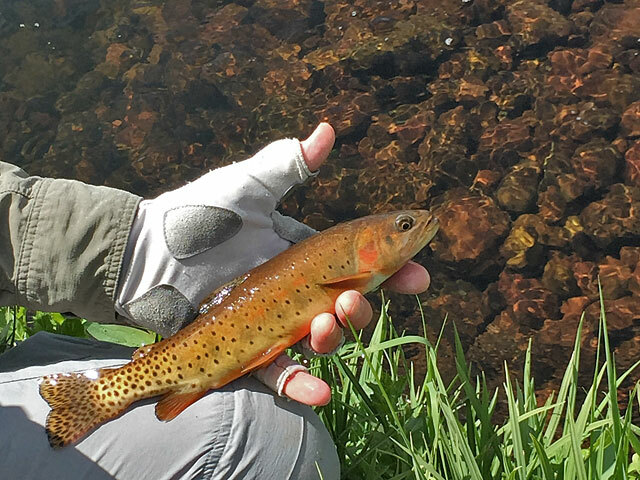 It’s really tough to beat fishing in the mountains for cutthroat. 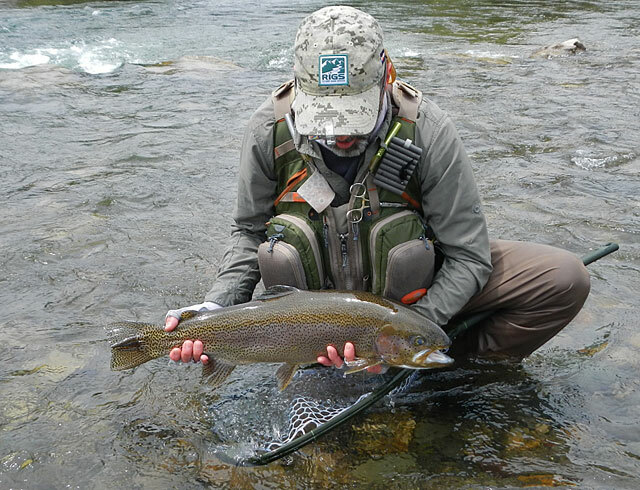 When these beautiful fish rise up in the pristine water to take your hopper, it is a brief but perfect moment. With all the rain this summer, the small creeks have plenty of water and are in great shape. 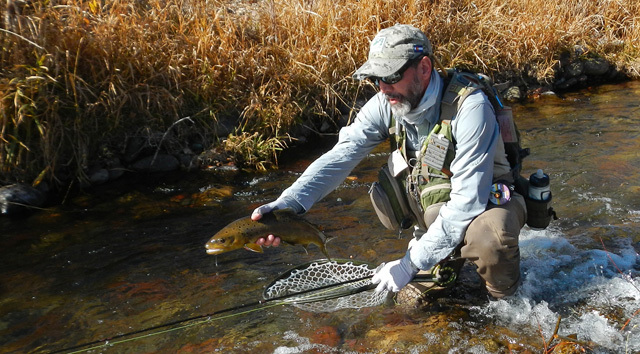 If you like fishing a single dry fly and catching brookies and cutthroat all day long, head to the mountain streams this month. 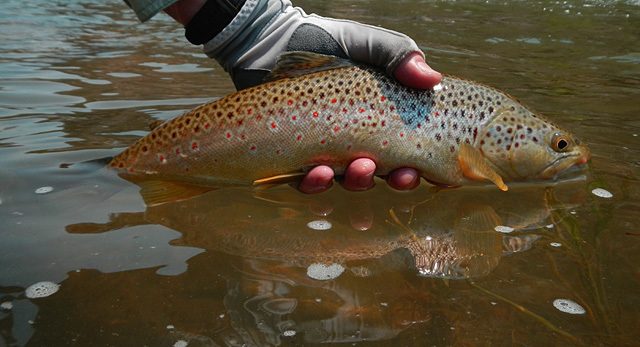 You’ll find hungry trout and some of the most beautiful scenery Colorado has to offer. 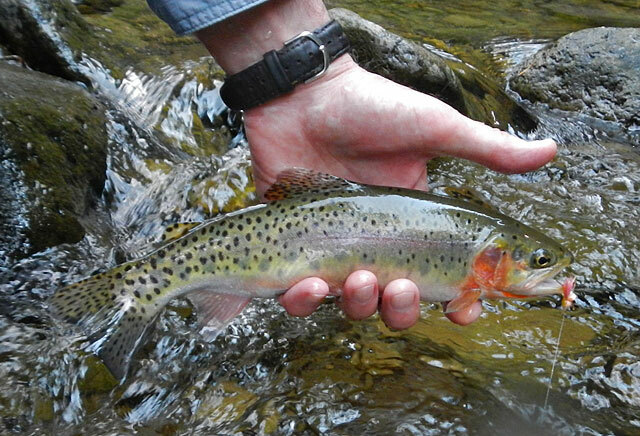 This is a great time to fish the high country for our native cutthroat. 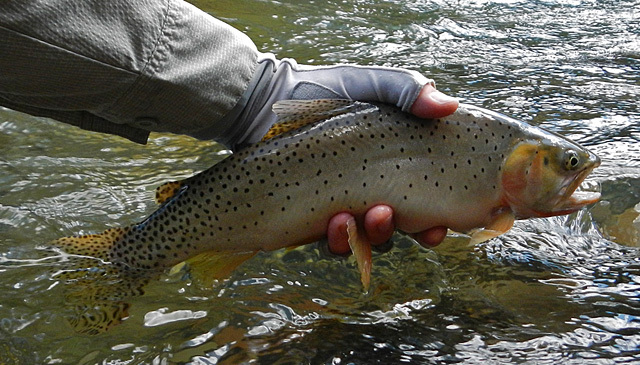 At over 11,000 feet in elevation, you can catch these beautiful wild trout all day long on dry flies. On this particular day, on a creek that will go unnamed, I saw no other angler. It was paradise! I hiked down into the Gunnison Gorge today at Duncan Trail and fished for a few hours. There were plenty of salmon flies around, and they eventually flew out to lay their eggs, but the Golden Stonefly was what got them going today. It was crazy good dry fly fishing! 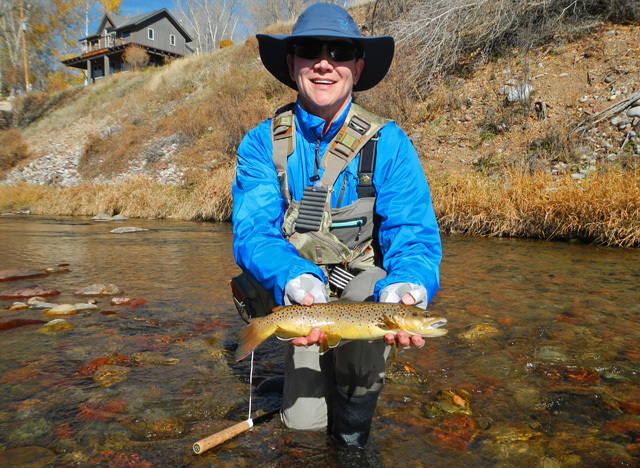 Early season is a good time to fish tailwaters as the snow melts and the rivers swell with runoff. The tailwater below the dam at Pa-Co-Chu-Puk on the Uncompahgre River is a beautiful stretch that holds big fish, like this chunky 27-inch rainbow here. 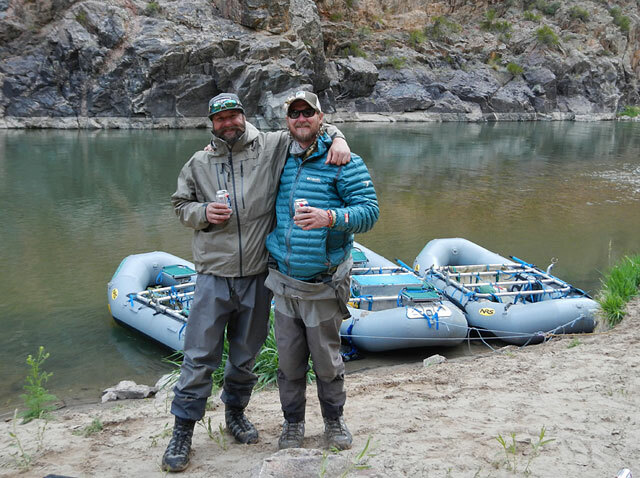 I floated the Gunnison Gorge for three days at the end of April with the RIGS crew. It was our trial run before taking clients down this season. It was my first time and I absolutely loved it. It’s a spectacular place. It was cold and snowed on us, but we caught some nice fish and had a great time. I highly recommend our three day deluxe trip through this beautiful wilderness area. 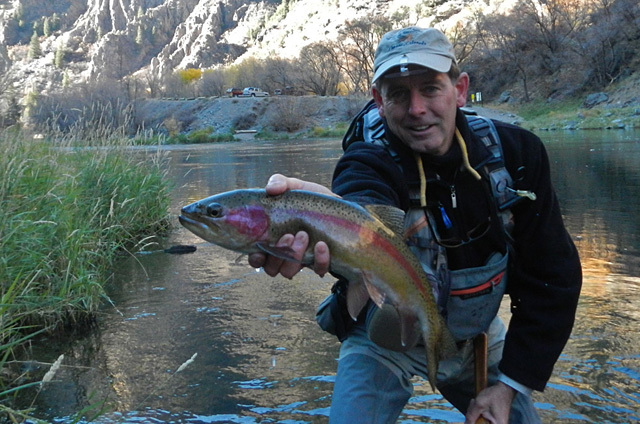 Check out the Gunnison Gorge trip with RIGS and book early! These trips book up a year in advance. Malachi and Chris (below) are our new guides this year and they will work toward guiding in the Gorge over the next couple of seasons.